PROUDLY SERVING CENTRAL OREGON SINCE 2014. 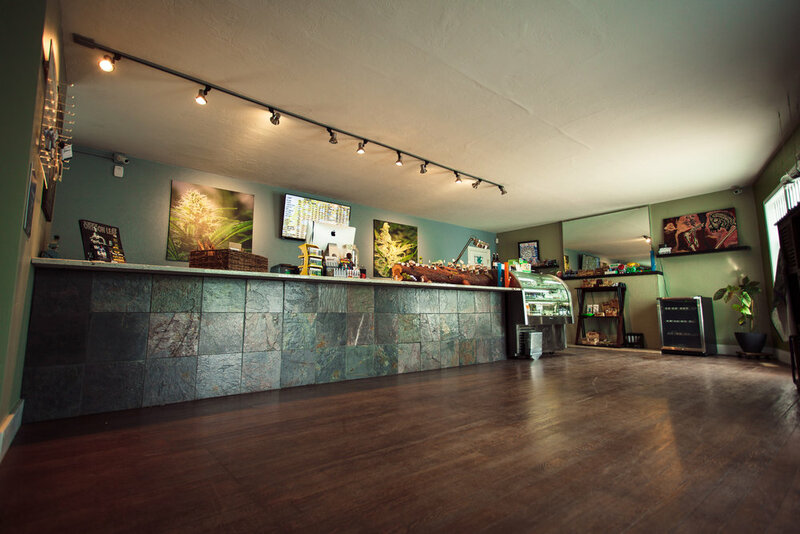 WE ARE DEDICATED TO PROVIDING THE COMMUNITY OF BEND AND VISITORS FROM ALL OVER WITH SAFE ACCESS TO LEGAL CANNABIS PRODUCTS. Located conveniently off North HWY 97, our flagship Bend location opened its doors in 2014, making it easier than ever to elevate your Central Oregon experience. Family Owned and Operated Since 2014, The Vth LMNT is an organization of cannabis professionals providing the Central Oregon region with easy access to high quality products, carefully selected from all over the state of Oregon. Our friendly and knowledgeable staff strive to offer the best quality of service while educating customers on new products and providing each one with their specific needs. Come by and check out all the wonderful options we have available for you! WE ARE LOCATED OFF OF HIGHWAY 97 NEXT TO BIG COUNTRY RV. EAST SIDE OF HWY 97, ACROSS FROM THE CASCADE VILLAGE SHOPPING CENTER. -TAKE ROBAL RD AND LEFT ON NELS ANDERSON RD. DIRECTIONS FROM BEND - HEADED NORTHBOUND TOWARDS REDMOND. FROM HIGHWAY 97 TAKE A RIGHT AT THE LIGHT ONTO ROBAL RD. COME TO THE STOP SIGN AND TAKE A LEFT ONTO NELS ANDERSON RD. CONTINUE STRAIGHT THROUGH THE STOP SIGN LOCATED NEXT TO BIG COUNTRY RV. WE ARE LOCATED AT THE END OF THE CULDESAC. DIRECTIONS FROM REDMOND - HEADED SOUTHBOUND TOWARDS BEND. FROM HIGHWAY 97 TAKE A LEFT AT THE LIGHT ONTO ROBAL RD. COME TO THE STOP SIGN AND TAKE A LEFT ONTO NELS ANDERSON RD. CONTINUE STRAIGHT THROUGH THE STOP SIGN LOCATED NEXT TO BIG COUNTRY RV. WE ARE LOCATED AT THE END OF THE CULDESAC.